A closer look at the day's most notable stories with The National's Jonathon Gatehouse: Trump turns up heat along southern border; Churchill's crucial rail link to the rest of Canada reopens; a debate about election debates. If Donald Trump can't have a bricks-and-mortar wall at the border, the U.S. president seems intent on erecting a barrier of flesh and blood. Today is the long-awaited official reopening of Churchill's all-important railway link to the rest of Canada. Tonight's At Issue panel tackles election debates. Two years after his election victory, Donald Trump's promised wall along the border with Mexico remains unfunded and unbuilt. But if he can't have a bricks-and-mortar barrier, the U.S. president seems intent on erecting one of flesh and blood. "We have to have a wall of people," Trump told ABC News in an interview last night, talking about the ever-inflating number of troops he intends to deploy across the southern border states. Last week, when Trump began sharing scare stories about the caravan of Central American migrants making its way north through Mexico and promised to "seal off the border," Pentagon officials were talking about sending 800 to 1,000 troops. By Monday, the figure had grown to 5,200 soldiers. 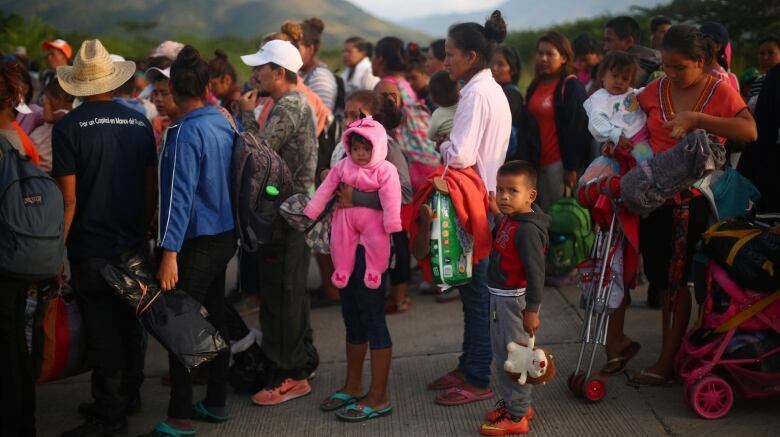 Now, five days ahead of the midterm elections, the president has vowed to dispatch as many as 15,000. 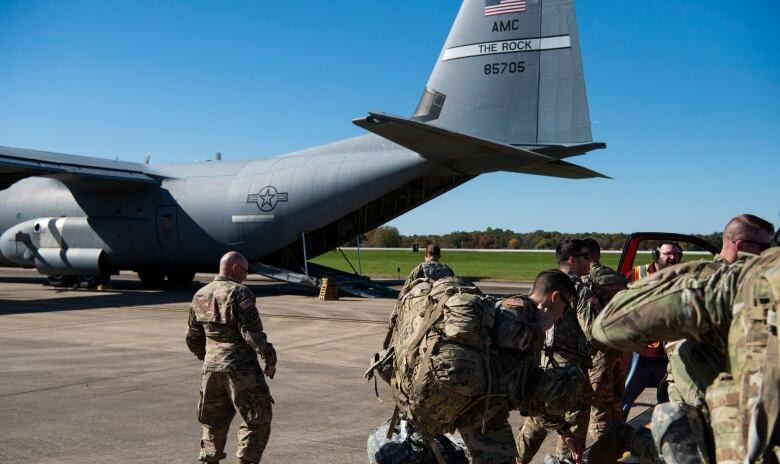 It's not clear if Trump is including the 2,100 National Guard troops he ordered to the border in April. But either way, Operation Faithful Patriot, as it has been dubbed, sounds like a big deal; equal to the number of soldiers the U.S. has in Afghanistan, and far more than it has devoted to fighting ISIS in Syria and Iraq. What they'll be doing is a bit of a mystery, however. 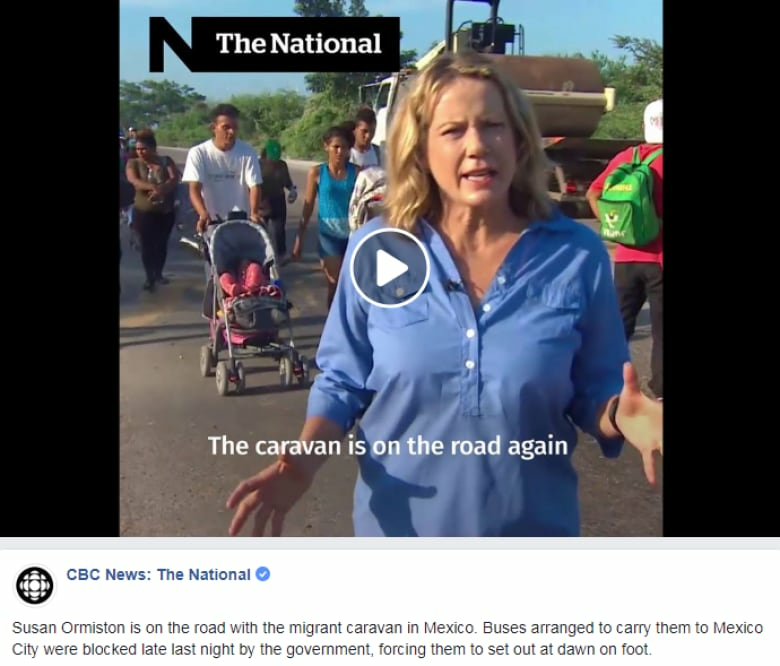 The caravan is still about 1,500 kilometres away from the U.S. border. And under American law, the soldiers aren't allowed to arrest or even detain anyone they see trying to sneak across the frontier. Yesterday, Defense Secretary Jim Mattis characterized the mission as "practical support" for U.S. Customs and Border Protection agents, likening it to what the military does in the wake of a natural disaster. Stars and Stripes, the U.S. military newspaper, reports that 39 units comprising 7,000 active duty service-members have so far been notified that they may soon be spread out across the southwest. They include transport helicopter units, engineering teams, military police and public affairs personnel. There are no ground combat troops. And the National Guardsmen who have been in place since the spring are mostly keeping busy with vehicle maintenance and administrative work. 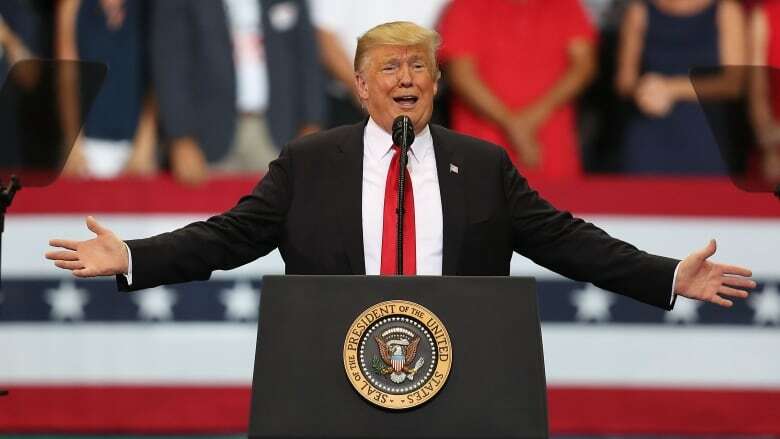 The troops will be allowed to harden physical barriers along the 2,100-kilometre border, so the Pentagon is preparing to send barbed and concertina wire, temporary fencing and light towers. How much this will cost has yet to be revealed. The bill for the first six months of the National Guard deployment came to $185 million US, or roughly $1 million a day. By that measure, 15,000 more troops would cost about $225 million a month. When then President George W. Bush sent the National Guard to fortify the border from June 2006 to July 2008 — 6,000 troops for the first year, reduced to 3,000 for the second — it ended up costing $1.2 billion. Over the fiscal year that ended on Sept. 30, the U.S. Border Patrol apprehended 396,579 people "between ports of entry" along the southwest frontier. That's about 93,000 more than the year before, but there's not much evidence that the logistical support of the National Guard helped. There were as many people arrested in March — before the deployment — as in August. And the yearly totals remain hundreds of thousands below the peak migration years of the early 2000s. Trump's advisors have surely told him this. But the president long ago determined that he was going to make illegal immigration the centrepiece of the Republicans' midterm campaign. And this morning, the president showed that he intends to turn up the temperature yet again, with a new campaign ad featuring a twice-deported Mexican immigrant who has been sentenced to death for killing two California cops. The web spot seeks to make Luis Bracamontes the new Willie Horton. "Illegal immigrant, Luis Bracamontes, killed our people!," reads the text. "Democrats let him into our country … Democrats let him stay." And just in case that was all too subtle, there are images of some people, somewhere, rioting in the streets and pushing down fences. Many critics have already labelled the ad "racist." Or, at the very least, proof of Donald Trump's success in dividing people, if only within his own country. Reporter Cameron MacIntosh is in Churchill, Man., for the reopening of the community's all-important railway. It's a long time to wait for a train. The first one in a year and a half arrived last night in Churchill, and today the Prime Minister is in town for the symbolic "re-opening" of the Hudson Bay Railway. Washed out by record flooding in May 2017, it's the only land link connecting Churchill and the Arctic communities that rely on it to the rest of Canada. The supply line north for goods and for tourists who want to see polar bears are what get most of the attention when people talk about the railway. But the real human story here is what the rail link means to the quality of life of the people who live here. The flight from Winnipeg to Churchill is only a couple of hours, but costs about as much as a flight to Europe. That's impractical for people who need to head out of town to see a specialist, get groceries at the nearest Wal-Mart, or even send kids to a neighbouring community for a field trip or to play in a hockey tournament. On my last trip to the region, resident Steve Palmer told me, "For us, the train coming back — it's not so we can leave, it's so we can stay." 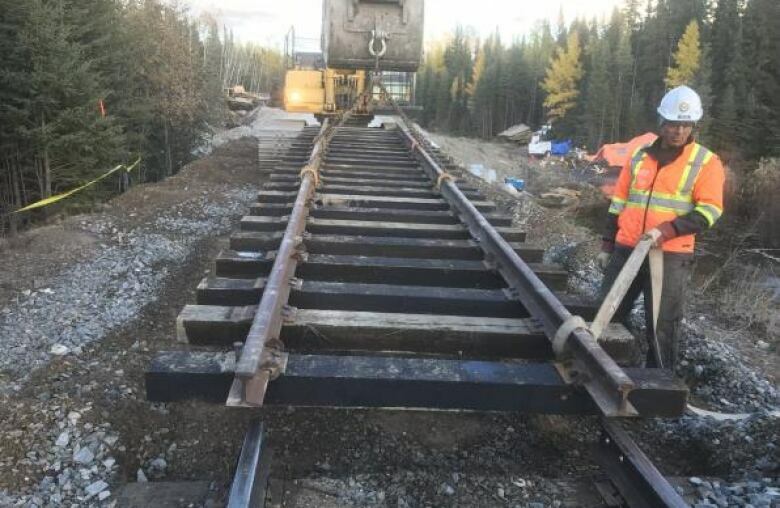 For almost a century the railway has made Churchill an example and cautionary tale of how an economy can be quickly built or hobbled in Canada's rugged North. In the 1920s, frustrated farmers in Western Canada felt taken advantage of by railways and the big eastern ports in Thunder Bay and Montreal. Attention turned to the North and its shorter shipping routes to Europe. A railway was punched through some of Manitoba's most rugged terrain and a port built on the shore Hudson Bay. Over the nine decades since then, Churchill rose and fell with the fortunes of its rail line as political whims, indifferent ownership and commodities markets all conspired at times against the interests of the community. Now that early 20th century idea of a Hudson Bay port is being repackaged for the 21st century. As the Arctic warms, there are bets that northern shipping will become increasingly strategic and profitable. A coalition of rail-line communities, First Nations, agricultural traders and one of Canada's biggest investment firms have taken control of the rail line and port, with $117 million in support from the federal government. Once again Manitoba's north is being envisioned as a staging point for Arctic development and a busy international port, moving commodities like grains and fertilizers. And its new operators say it could even be a solution to western Canada's modern day commodities problem: A tide-water port for shipping oil. But the immediate winners are the residents, who once again have the land link to the rest of Canada that's crucial to their daily lives. Their long, worried wait for the train is over. The At Issue panel tonight will take a look at how Canada runs election debates these days, writes Rosemary Barton. This will date me a little bit, but I'll do it to make a point. In 2008, I was covering the NDP during the federal election. For many many days, the central question at the beginning of that campaign was whether Elizabeth May should be allowed to participate. Not key policy questions. Not economic issues. Not anything with any kind of substance. Just debate talk. 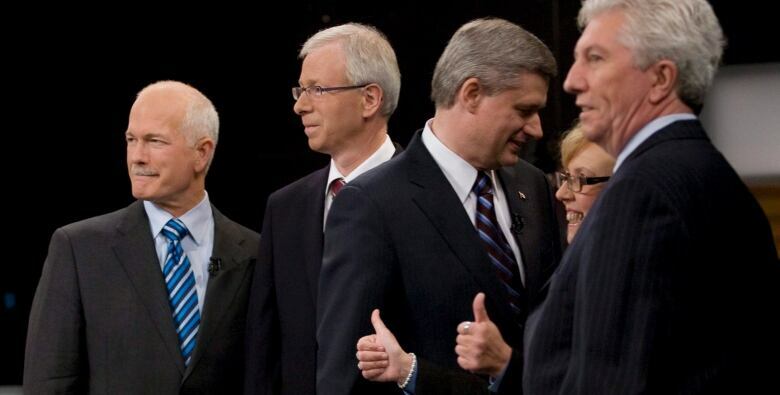 Both Stephen Harper and Jack Layton agreed May should not be allowed to debate, in essence because she had so loudly supported then-Liberal leader Stephane Dion's "green shift." The broadcast consortium (including the CBC) decided it would rather not lose two leaders for the price of one, so it also chose to keep May out. Fortunately for me, I was able to go back and read some of my blog entries (yes, we had a political blog at the time — I also rolled my eyes), and for days it's all I wrote about. But then the pressure started to build on the other leaders. Layton finally recognized it had become a distraction from the actual election, and conceded May could participate. The whole thing was a wild few days I remember vividly, but which honestly may not have made much of an impression on people who weren't living on a campaign bus. This long anecdote is just to say that when the government announced a solution to prevent this endless debate about debates, I cheered. Not because it's necessarily the right solution, but because surely the way we've been doing it in the past can be improved. 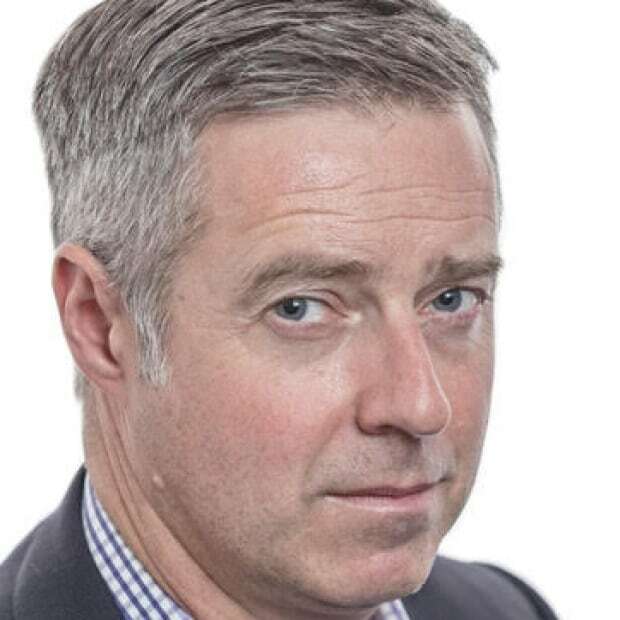 We'll ask At Issue panelists Chantal Hébert, Andrew Coyne and Chris Hall whether the government has managed to do just that — and maybe we'll dig up some tape of my bad 2008 haircut while we are at it. The chaotic reality of the migrant caravan and the long journey ahead. "I just really want to play for them." 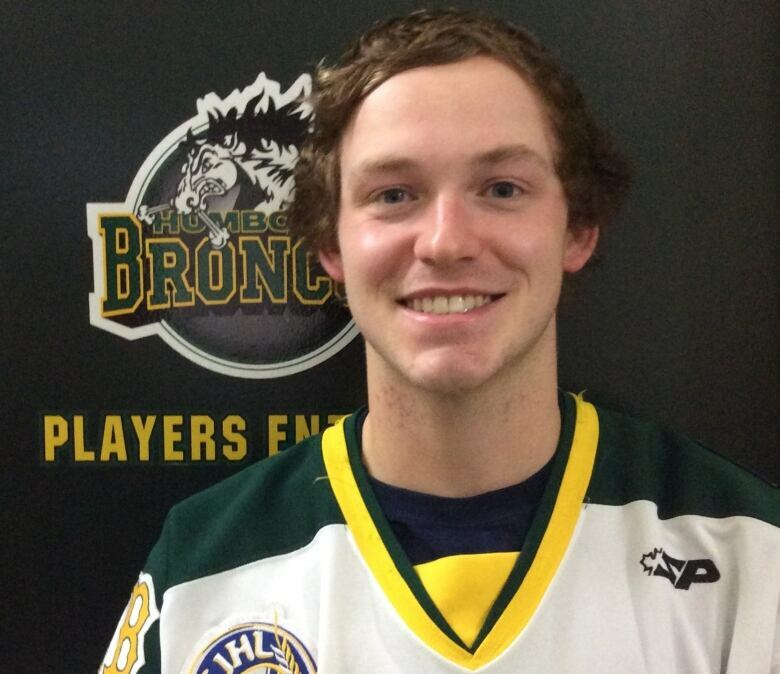 - Tyler Smith, a Humboldt Broncos player who was severely injured in the team bus crash that killed 16 people last season, on his planned return to the ice tomorrow night. Mollie Hough never made it overseas as a member of the Women's Royal Canadian Naval Service, but her picture did. Somehow the Canadian Army newspaper got hold of a snap an officer had taken of her sitting on a diving board in a bathing suit and published it. Her girl-next-door looks proved popular with the Canuck troops in Italy, who apparently favoured her over Rita Hayworth and Betty Grable. Hough says she never really knew about her foreign fame until a World War II admirer tracked her down for a 1998 story in the Canadian Legion magazine. Although she and her husband did wonder about those letters she used to get from lovesick servicemen.